One nice feature of DJI intelligent drone batteries is the fact that they will self-discharge after a predetermined amount of time that can be set via the DJI Go 4 app. Storing a lipo battery at full charge can damage it over time and that is why DJI included this feature in it intelligent drone batteries. The discharge, however, can take several days and what if you have a last minute flight and you need to discharge your batteries quickly. Some airline around the world requires lipo batteries be drained before you enter the aircraft. Personally, I have never been asked to show my batteries are discharged before a flight but I do know of people who have been asked to show every battery. It’s better to be safe than sorry when traveling on a plane to avoid any unwanted hassle. My method of discharging DJI Drone batteries such as the Mavic Air, Mavic Pro, Mavic 2 Pro/Zoom and the Phantom 4 Series is to use the Battery to power bank adapter. This adapter is included in the fly more kits for each drone and can also be purchased separately. The adapter essentially turns your drone battery into a power bank that can be used to charge devices such as smartphone and tablets. 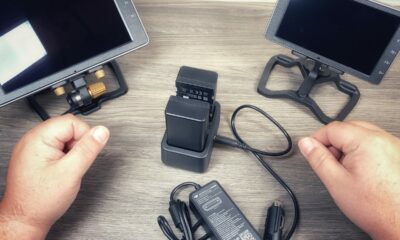 To discharge your DJI Drone battery quickly simple fit the adapter on your battery and charge up any devices that needs charging. Your drone batteries will be quickly and safely discharged using this technique. Now one problem using this method that can come up is if you own many drone batteries you may run out of devices to charge before you drone batteries are all empty. In this situation what you can do is plug your drone battery into a traditional power bank. 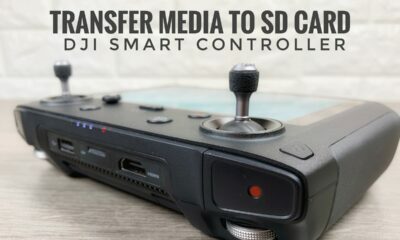 Essentially you are just moving the power from your drone battery to your power bank. This works great considering power banks tend to have high capacities and can take quite a bit of juice. Using this method is better than other methods such as letting the motors run on the aircraft until the batteries are drained. In my opinion, this puts unnecessary wear on your aircrafts motors. You can order battery power bank adaptors here if you do not own one already. You can watch our YouTube video demonstrating this technique of discharging DJI drone batteries for travel and flights. 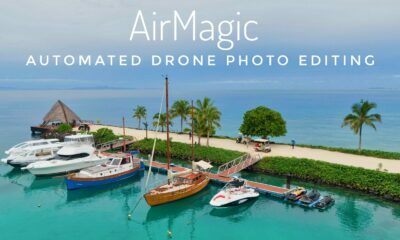 A good resource for those who are wondering how to travel with a drone.